This product is expected to ship on Wednesday, April 24 if you place your order within the next 18 hours and 39 minutes. Your desk, and what sits on it, can tell a lot about your character, and it behooves you to have your desk and related decor highlight the positive qualities of your reputation. The trick is finding something just right for you and your desk. 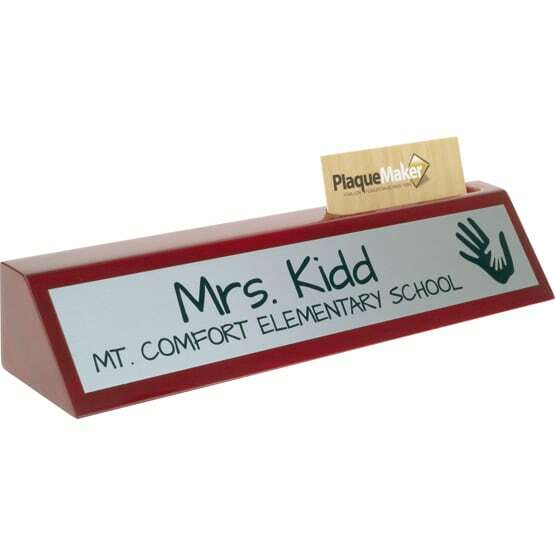 Fortunately, PlaqueMaker.com has a diverse range of name plaques for desks, as well as other handy items, like our Rosewood Desk Wedge with Business Card Holder. With our Rosewood Desk Wedge with Business Card Holder on your desk, your troubles are over. The desk wedge proudly declares your name, title, and logo on a metal plate adhered to a glossy rosewood wedge. The added business card holder is a nice touch, ensuring that you always have a card ready for stoppers-by. The Rosewood Desk Wedge with Business Card Holder is just one of the many name plaques for desks and more that we offer at PlaqueMaker.com. We make it our mission to bring customers the variety they need in their plaque purchases, which is why we keep a wide range of different signage in stock. And not just any signage–high-quality signage and plaques, at that! 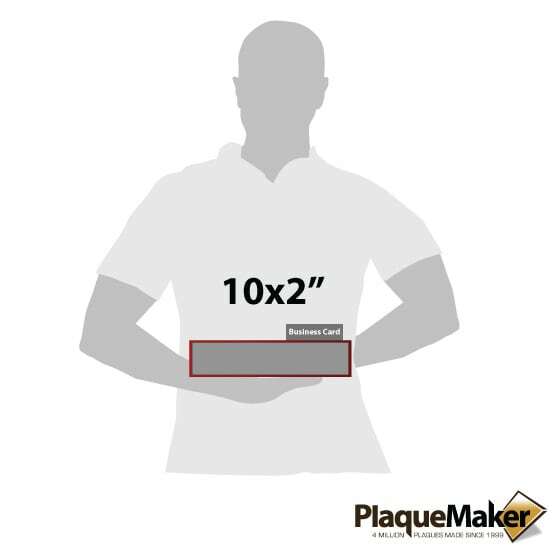 The best part of PlaqueMaker.com’s products is that we make sure to keep prices low even as we stay high on quality. Whatever you’re looking for, you’re bound to find affordable quality in our virtual catalog. 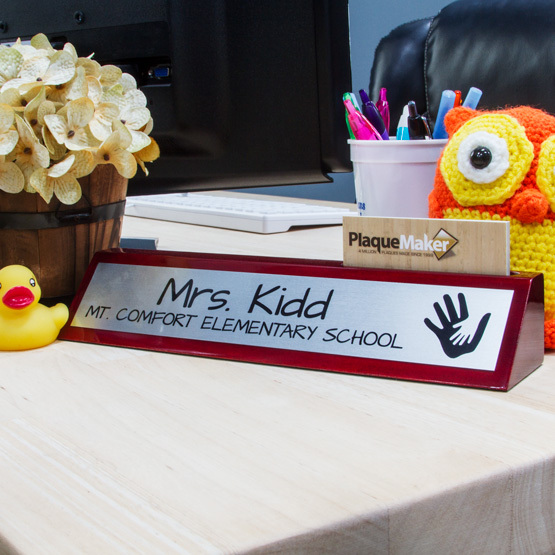 So if you want name plaques for desks, what are you waiting for? Hurry and buy one today! Material: Included - silver, gold, or white aluminum. Upgrades - black metal with gold, black metal with silver, blue marble metal, brass, bronze, copper, stainless steel, or titanium. Desk wedge - rosewood. Thickness: Aluminum - 1/32". Wedge - 2 1/4"